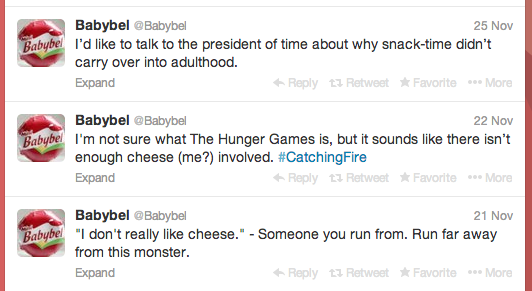 I was tasked with managing the Twitter account for our bold spokes-cheese, Mini Babybel a.k.a. Mini. Here are some highlights from the Twitter feed that helped build social presence and increase fan interaction. We had the fun opportunity of engaging with popular internet news site Buzzfeed.